Barbara M. Hartzler, age 100, of Cable, Ohio passed away at 9:10 A.M. Thursday, November 1, 2018 at Green Hills Community in West Liberty, Ohio. She was born in Porter County Indiana October 29, 1918, to the late William and Anna Birky. On October 2, 1943, she married Donald B. Hartzler and he preceded her in death. Barbara was also preceded in death by six siblings and an infant granddaughter, Bonnie Jean Hostetler. She is survived by a brother, James Birky of Greentown, Indiana; a son, David (Vietta) Hartzler of Goshen, Indiana and two daughters, Judith (Larry) Steider, and Evelyn (Merle) Hostetler, both of West Liberty; seven grandchildren, Jeffrey (Alison) Hartzler, Monica (Matt) Beachy, Ryan (Heather) Hostetler, Brice (Suzy) Hostetler, Kevin Hostetler, Jason (Amy) Steider, Beth (Josh Ferrer) Steider; and twelve great grandchildren. Barbara graduated from Kouts High School in Indiana and the La Junta Mennonite Nursing School in Colorado. She worked as an RN at the Ypsilanti Mental Health Facility in Michigan after her marriage. They moved to West Liberty in 1946, where they raised their family. After her children were born, she filled in for nurses at a local doctor’s office and volunteered for the Red Cross. Barbara was a member of the Oak Grove Mennonite Church and loved to cook, garden, and entertain visitors in her home. Barbara has donated her body to The Ohio State University for research purposes. A Celebration of Life service will be held at 11:00 A.M. November 24, 2018 at the Oak Grove Mennonite Church in West Liberty. Visitation will be held an hour prior to the service. 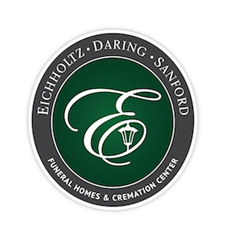 The arrangements are in the care of the staff of the Eichholtz Daring & Sanford Funeral Home in West Liberty.